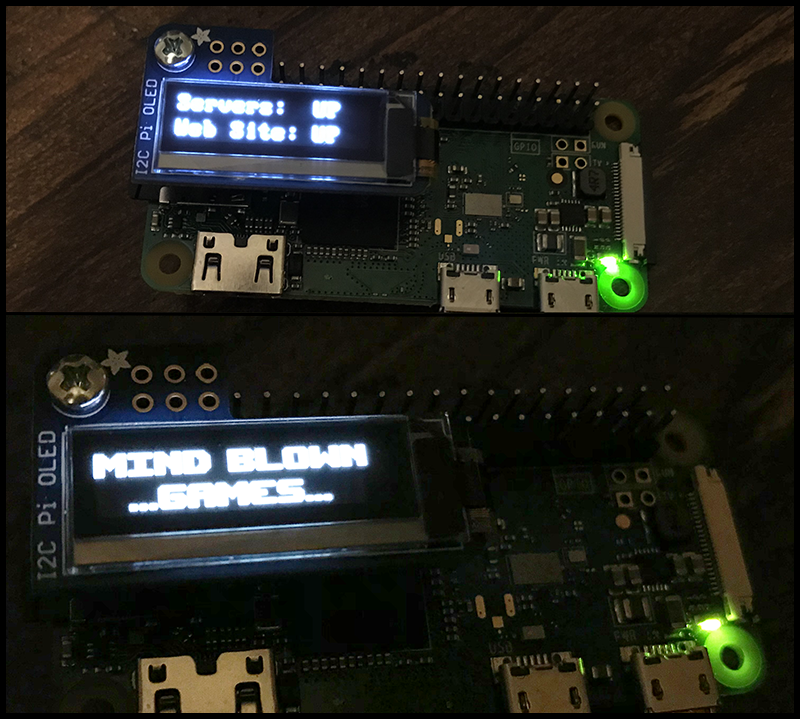 I’ve created a Raspberry Pi Zero W device that I can use to monitor my servers. The software periodically checks to make sure the web server is responding, and all of the game servers in the cluster are accepting connections. I think I’ll add a little red flashing LED to signal there is a problem. I might even make a version with a larger OLED display, so I can display more details at once. Currently the device is meant to operate locally over Wi-Fi, however I could use my phone as a hotspot for the device while at remote locations. This entry was posted in Game Development, Hardware and tagged raspberry pi, server status. Bookmark the permalink.